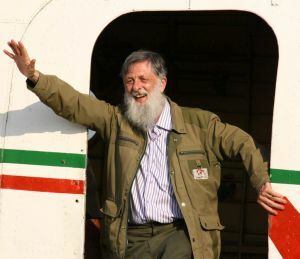 Inveterate airline enthusiast Brother Michael Bartlett, known in civil aviation circles as the Mad Monk, holds a number of Guinness World Records for his exploits, including completing a round-the-world journey by air in 57hr 17min (BTN 9 January 2017). Here he relates his latest adventure. The year 1977 saw the formation of Kenya Airways, which claims to be “The Pride of Africa.” I have always been grateful I had the opportunity to fly aboard a Vickers Super VC 10 from Nairobi to London back in 1975, a couple of years before the demise of East African Airways. Now this year I have been able to enjoy flying with its successor, Kenya Airways. This was not only aboard three of their new Boeing B787 Dreamliners but also between Johannesburg and Nairobi on a Boeing B737-800. I often find the smaller the aeroplane the more enjoyable the flight, there often being more of a camaraderie between passengers and between passengers and cabin crew. Though the journey from many European points to African destinations takes longer when using airlines with connecting flights at their home bases, it can be much cheaper. And for aviation enthusiasts, it gives an opportunity for more flights and therefore more time in the air and miles flown! One of the claims made by Kenya Airways is that it is the most punctual airline on the continent. It was voted Africa’s leading airline in 2016 and 2017, won an award for best Business Class each year from 2013 to 2017 inclusive and the cover of its inflight magazine proclaims it the airline “connecting Africa to the world”. Living up to its claim, from 28 October this year Kenya Airways will launch non-stop flights to and from New York, becoming the first airline to operate a non-stop service between East Africa and the US. The development is being touted as a means to help to boost trade, spur growth in the business and leisure travel industry both ways and thereby offer opportunities for more employment. 15 hours flight time but a huge saving into East Africa from North America. The standard of service aboard the four flights I took was high. The crew, well dressed in attractive red uniforms, were both welcoming and helpful as passengers boarded, a process they insisted on doing by row. This helped to ensure it was not the long-drawn-out exercise it can be, and full marks to the staff at the gate for being firm on that issue. The one disappointment when the interesting, pleasant and hot meals were offered was the cheap plastic cutlery. Many airlines on long-haul flights now provide steel cutlery even in Economy Class. The food however was generous and pleasantly served. Water, fruit juices, beer, wines and spirits were offered. Cabin crew walked around the aircraft regularly and water was offered frequently. Gin and tonic was available and when I asked for one to celebrate flying with Kenya Airways, my 280th airline, the measure was extremely generous. I did not dare ask for a second! 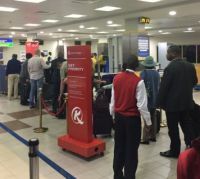 My outward journey from London to Johannesburg involved a 3hr wait at Jomo Kenyatta Airport for my connection. I had considered going to one of the Business Class lounges, but it was not necessary – at 05:00, there were plenty of empty seats in the terminal along with many outlets for tea and coffee. I sat and read, completed a couple of hard sudokos and waited for the connecting flight. The transfer had been simple, involving going through security once when alighting from the aircraft and going through the “transfer” channel. The experience was rather different on the return journey. Arrival at Nairobi Airport was a little later than the outward journey – 06:30. The terminal was considerably busier, so I decided to find the Turkish Airlines lounge and enjoy its comforts. It was a long walk and hard to find as it was at the other end of the terminals near Gate 4A. When notice was given to go to the gate, I was aware I had a long walk ahead and halfway along was a security gate passengers had to put everything through the machine. Thinking since I had now gone through security for the second time it was the last time, I returned my personal items to my shirt and jacket pockets. Mistake. On arrival at Gate 17 for the flight to London, I had to go through security for a third time. I was taken out of line and had to answer a host of questions, unpack some of my hand luggage and watch patiently while most of my items were swiped for drugs. This aside, the major disappointment of my trip to the region was being unable to arrange more flights with Kenya Airways to Rwanda and Burundi, the two countries in East Africa I have not yet visited. 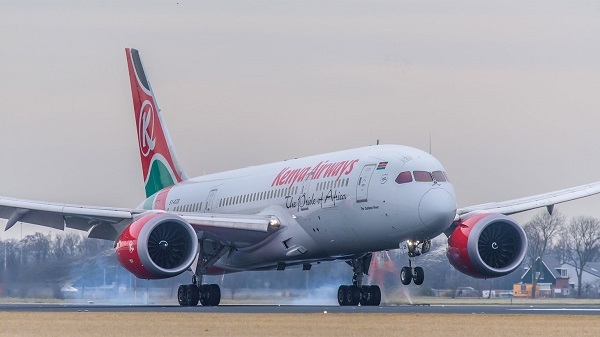 Sadly, when I asked the airline for the cost of adding to my itinerary, for fun, its daily circular flight Nairobi – Kigali – Bujumburu – Nairobi, the fare quoted was higher than that for the London – Johannesburg round trip. Overall however, on safety and service, Kenya Airways is well entitled to describe itself as “The Pride of Africa”. I look forward to flying with it again.